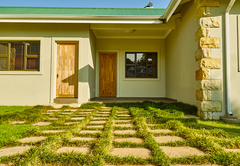 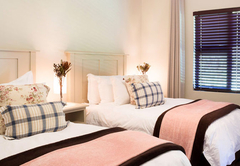 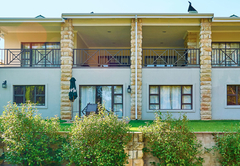 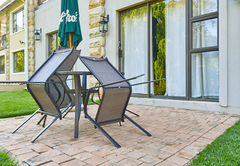 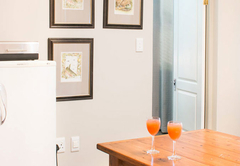 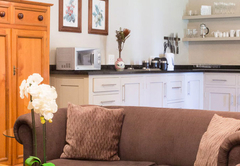 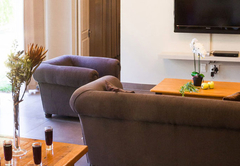 Pond End Villa is a property providing self catering in Clarens for tourists visiting the Thabo Mofutsanyana region. 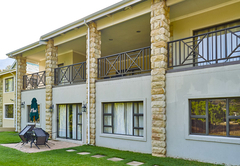 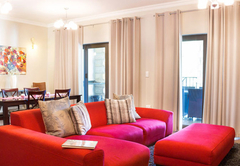 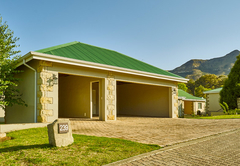 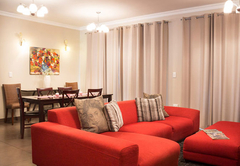 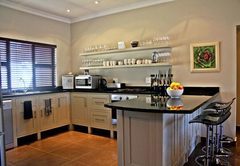 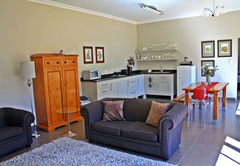 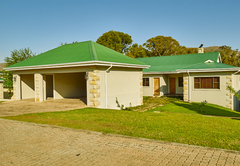 Pond End Villa offers Clarens accommodation in a well appointed villa situated on the Clarens Golf and Trout Estate. 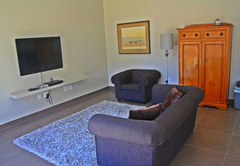 The upper and lower levels can be rented separately or together. 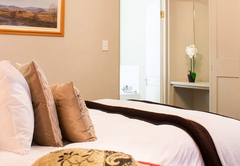 Clarens is part of the scenic Highlands Route and is surrounded by mountainous splendour. 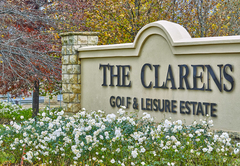 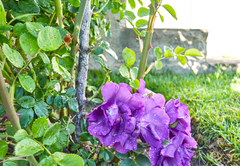 Clarens is our passion and our wish is that it will also become yours. 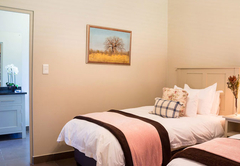 The Villa overlooks a little dam and inlet with frequent sightings of resident Giant Kingfisher, Yellow-Billed Duck and Herons and a resident duiker. 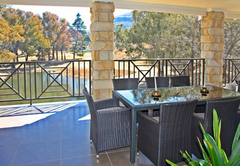 The view is peaceful and overlooks the mountains. 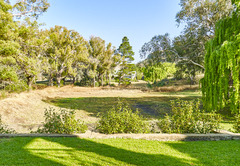 Pond End Villa has big soft lawns for kids to play. 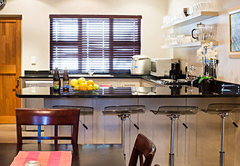 Each level of the villa has its own kitchen, dining room and lounge. 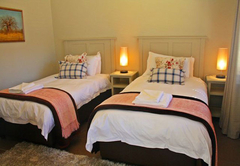 There are four en-suite bedrooms on the upper level of the villa - accommodating eight guests in total. 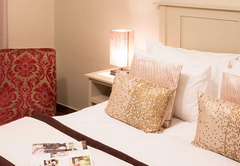 The bedrooms have Queen-size beds. 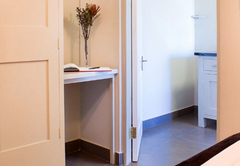 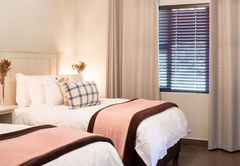 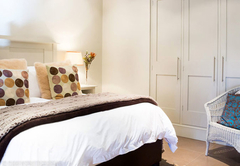 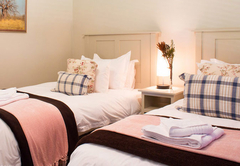 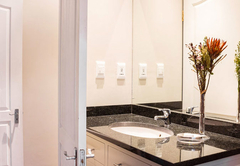 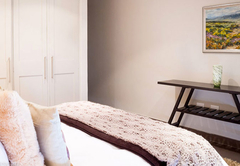 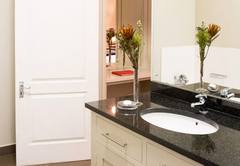 The downstairs level has two en-suite bedrooms, accommodating four guests. 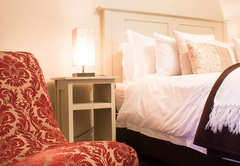 The bedrooms are furnished with Queen-size beds. 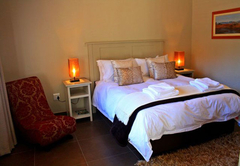 4 Bedrooms en-suite on the upper level of the Villa, accommodating 8 guests. 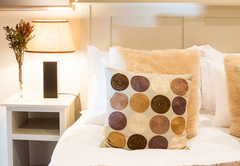 Beds are Queen size extra length. 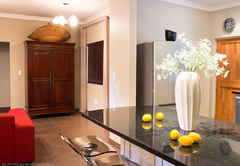 Each level has its own kitchen, dining room and lounge. 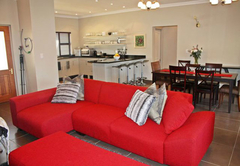 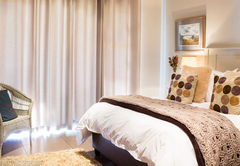 2 bedroom en-suite on the lower level, accommodating 4 guests. 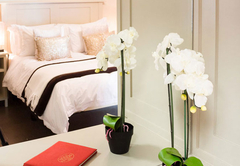 Beds are Queen size extra length. 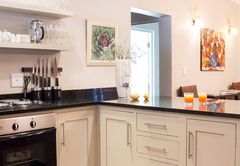 Each level has its own kitchen, dining room and lounge. 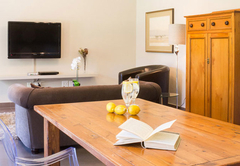 Our stay in the lower unit was really good. 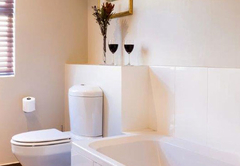 It was nicely furnished and well maintained with spotless bathroom facilities. 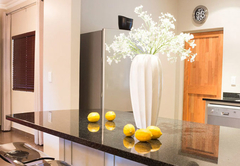 We expected the unit to be freezing but the unit received afternoon winter sun directly into the unit that made it nice and warm even though the temp outside dropped to below 4 at night. 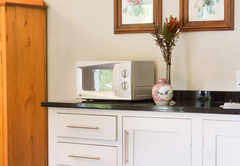 The only down side was that there was no oven for baking/roasting. 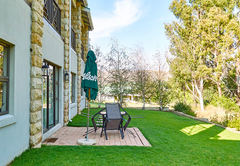 Response timePond End Villa typically responds to requests in 5-10 minutes.